What a weekend for the No. 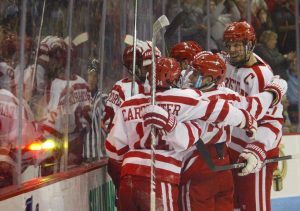 3 Boston University men’s hockey team. Pegged against its archrival, No. 10 Boston College, head coach David Quinn’s side earned a 3-0 win at Conte Forum on Monday night, capping off a series sweep. 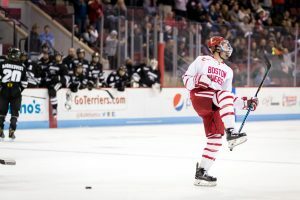 The Terriers had previously beaten the Eagles, 2-1, at home on Friday night, paving the way for four vital points in the Hockey East standings. Freshman goaltender Jake Oettinger was once again outstanding, as he posted 34 saves and made the difficult ones look routine. The defense deserves plenty of credit, too, as it limited BC’s “Grade-A” chances and ultimately silenced head coach Jerry York’s squad. For a full recap of the night’s affairs, check out Shelby’s recap over on The Daily Free Press. A dominant storyline from Monday’s tilt was the play of freshman forward Patrick Curry. He opened the scoring on a second-period power play, and was often doing the little things right against the Eagles. For a full account of the 21-year-old winger’s night, check out Jonathan’s story over on The Daily Free Press. 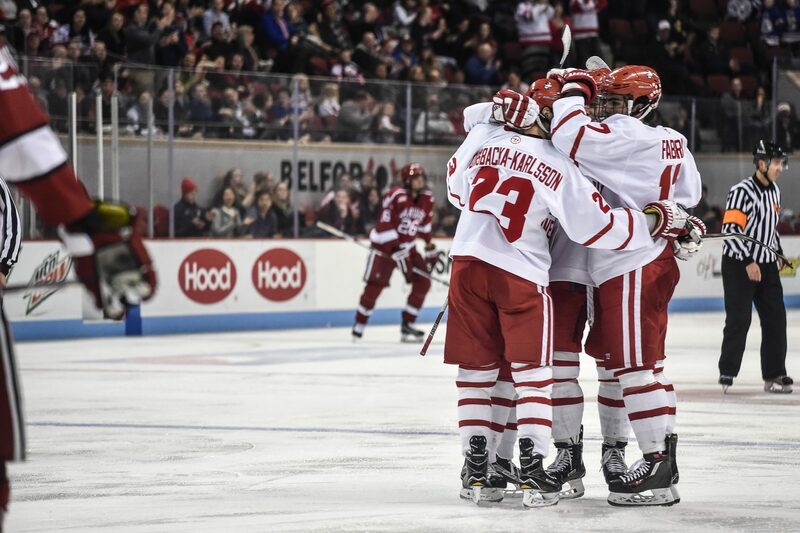 With a 1-0 lead late and two power-play chances, BU iced the game via goals from sophomore forwards Jakob Forsbacka Karlsson and Bobo Carpenter. 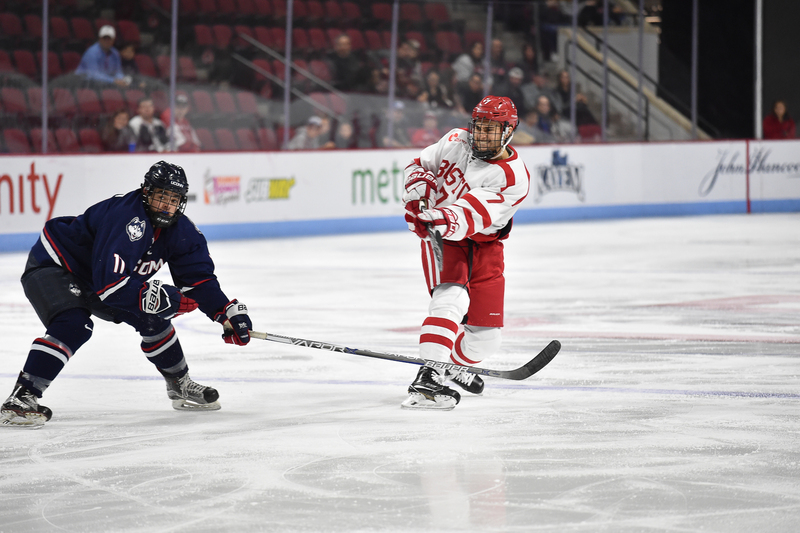 Looking ahead, BU welcomes the University of Maine to Agganis Arena on Friday night, only to travel up to Orono on Saturday night for the reverse fixture. JFK now has seven goals in his last four games. The center from Stockholm, Sweden is on fire. Across the weekend, BU never allowed an even-strength goal. The Eagles’ lone tally came on Friday, with Colin White striking on the power play. 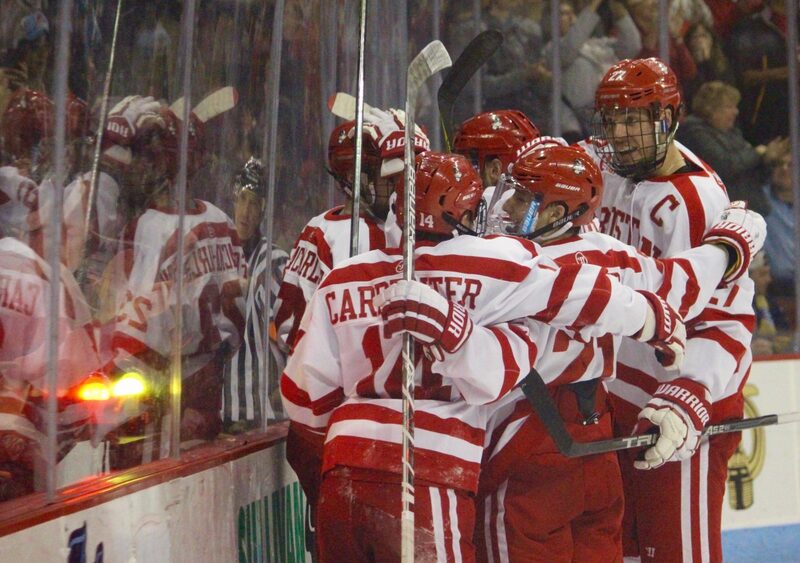 While this is hard to measure, that felt like the most complete weekend the Terriers have put together all season. There was opportunistic finishing, solid offensive zone time, great transitions through the neutral zone and stellar goaltending. All around, there were little to no flaws. The only gripe I can think of is BU’s third period from Friday’s game, as it sat back and nearly offerred BC a lifeline. He’s not getting on the scoresheet, but I’ve really been impressed with sophomore forward Ryan Cloonan’s play. His ability on the breakout is nearly flawless, and his speed across the blueline continually pins defensemen back. 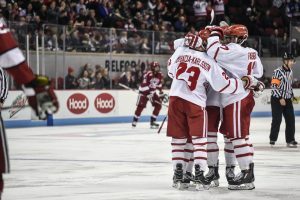 BU now sits in second place in the Hockey East standings. Its next opponent, the Maine Black Bears, is tied for last place. We could very well see the Terriers surging up the table even more next weekend. 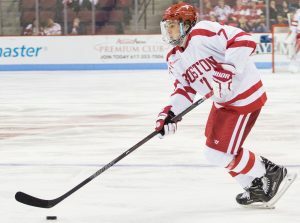 BU hockey fans, we have another feature laying in wait. 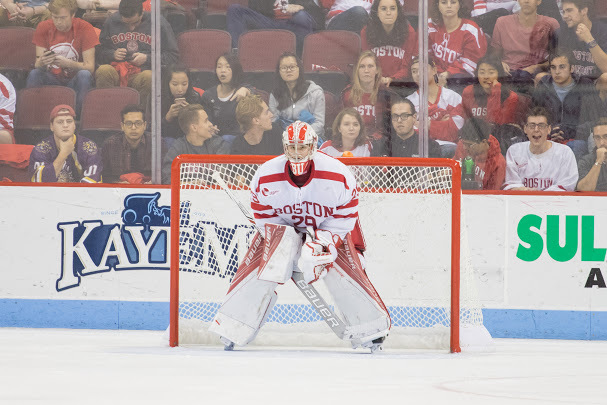 This time we profiled Patrick Curry, one of the Terriers’ nine freshmen. He has six points through his first 14 collegiate games, but it’s often the intangibles that best sum up Curry’s contributions. Be sure to check out all Jonathan wrote up here over on The Daily Free Press. 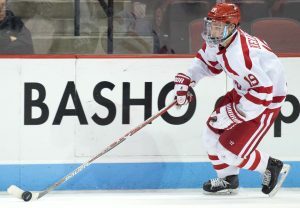 The season is over for the Boston University men’s hockey team, but the Terriers added another recruit to their list, as 20-year-old forward Patrick Curry announced his commitment to the school on Twitter. Proud to announce my commitment to play D1 college hockey at Boston University. Thanks to everyone that helped me along the way. #Terriers? 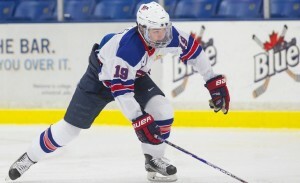 Curry, a native of Illinois, has played in the last three years in the USHL, most recently with the Bloomington Thunder. In 55 games this season, Curry has 33 points (17 goals and 16 assists), which is good for fifth on the team. 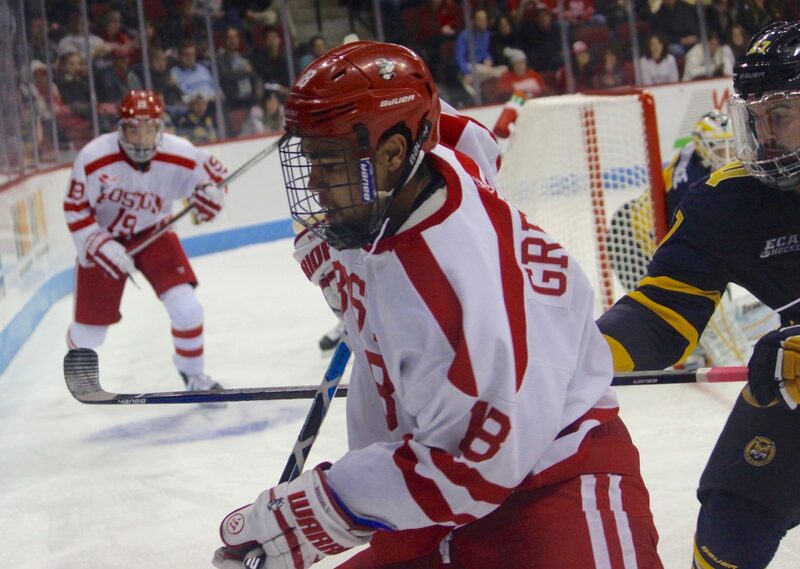 In 2013-14, Curry was the top scorer for the Springfield Junior Blues of the NAHL with 26 points in 25 games played.